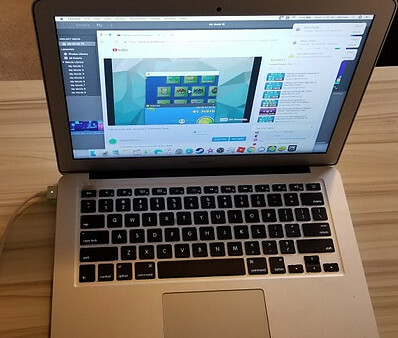 Many people often ask me for the name of the computer brand I use when live-streaming Geometry dash. Well I’ll tell you this; it took me a while before deciding on which computer to buy because I had to do a bit of research to see which laptop would be good value for money. It is no secret and I would love to share what I use right here with you. The computer I use for live-streaming is the Macbook Air. You may have tried googling best laptops for 2018 or top gaming laptop before arriving here, but I’ll tell you that I am very happy with this computer. Hey! Its an Apple product after all. I not only use this for gaming but I also make use of it for my day to day tasks. 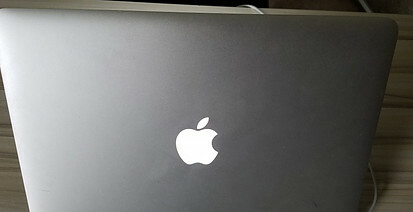 Now I have to mention that Macbook laptops are not cheap but this model which is the MacBook Air is the least expensive. Affordability: Compared to other Mac laptops in terms of price, the Macbook Air is an affordable gaming laptop and not just for gaming but for everyday tasks. You still enjoy the full Mac experience. Nothing is compromised here and it is light in terms of weight. It runs Microsoft office including excel and word smoothly with no hassles! Fast: It is fast and great for daily tasks. I not only use this for my youtube channel but I also make use of this computer for so many other tasks. Body: The Macbook’s aluminum body gives it a sophisticated look although this look dates back to models manufactured between 2005 and 2010. It is glaring now that other brands also have similar bodies as well. Keyboard: The keyboard is sleek and you can type with ease. Typing is pleasant on this laptop. You can actually type so many words in a minute without your fingers hurting! Battery: The battery works well. I don’t have to charge it all the time. I charge it once a day or every other day and I’m good. Battery life is fantastic! It is powerful and does every single thing I need it to do. In other words it is reliable. It has meaningful ports including SD Slot card, USB, mini display port. This means you do not need any external adapters. 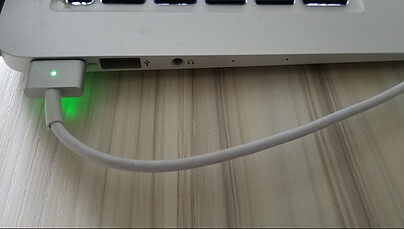 Power connector: The power connector is epic because it is magnetic! How cool! Durable body: The aluminum body protects the screen. Pictures: If you’re the type that enjoys transferring pictures to your computer with the aid of SD cards, this laptop will do it for you because of its SD card slot. Sharing feature is awesome and it is easy to transfer files from an old Macbook to a new one. Cleaning it is a breeze! Ease of cleaning is a big one for me as well and that’s what I love about my Macbook Air. It is so easy to clean with a slightly wet or damp cloth due to its aluminum body design. Same design this model has had for so many years. Display: The screen is not as sharp as other mac laptops as I have noticed especially when watching videos. I have to say though that this is something you may not really notice. The Macbook Air comes in different configurations. It is easy to leave marks and scratches on the aluminum body design so you might want to purchase a sleeve most especially if you’ll be carrying it around to preserve that sleek look. More expensive than other brands: A drawback with this Apple brand is that it is more expensive than the Microsoft computers but you get what you pay for in this case because it is a Mac computer. That said, for anyone looking to get into MacOs, the MacBook Air will be a great choice most especially if you don’t want to break the bank! Now Let’s Have a Look at The Specifications Below! This Macbook Air laptop is Not Just For Gaming Though, Its for Everything! 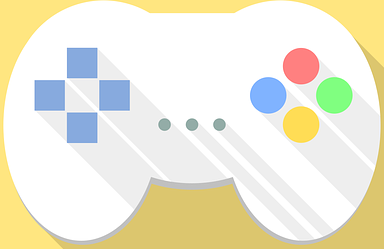 Gaming Research Administrative work (typing, Office and Clerical purposes) Homework and even suitable for Website Developers and everthing you can think of! In conclusion, the Macbook Air rocks! I highly recommend that you pick your own Macbook air. You can buy from Bestbuy or if you are an online shopper like myself, Amazon has the best deals on this computer. The latest news in town is that ….the new MacBook Air has just been released by Apple! I am going to carry out my research on that to see what it has that this Macbook Air 2017 does not have. So stay tuned! I hope you like this review and if you have any questions, about the Macbook Air 13.3″ (Intel Core i5 1.8 GHz/ 256GB SSD/ 8GB RAM) (2017 Model) or want to leave your personal review, leave a comment below. You definitely can’t go wrong with this laptop as it is suitable for everyday tasks! Thanks for visiting. Sounds like a great one. I have never had a mac but am looking at it for my next one. A friend changed and said she was really happy she did.Thanks for the review. The Macbook Air is indeed a cool laptop especially for someone looking to get into Mac laptops for the first time as it is not as pricey as other Mac laptops and it will still get the job done. Thanks for stopping by! Hi. thanks for the review. I like the sleek design and compatibility of this product with the other apple products. I have not owned an Apple computer before, but have friends that use them and they keep telling me how good they are. I will seriously look at buying an apple next time I need to upgrade my computer. Hi Andrew, you’re welcome. I had to write this review as I have being doing a lot of research lately about the best laptops out there as well as other cool gadgets and I can say that this Macbook Air is a good choice for starters since you can use it for pretty much any form of task! Thanks for visiting and please visit again soon for more reviews. I’ve been hearing about the MacBook Air quite a lot recently. But I’m sure now, thanks to this post. I start to see from where all the fascination is coming from! Awesome article, thanks for sharing it! You’re so welcome Boby. I’m so glad I was able to present and explain clearly all the Macbook Air features. Thanks for leaving a comment and hope you’ll drop by again soon. I currently use MS Pro but am thinking of switching to a mac for the better designing options. The biggest reason I chose MS Pro is because of its lightness, easy to take to any location, while having the capability of a desktop. If the Mac Air is comparable, if not superior, I’d be keen to get my hands on one. How light is it? Hi Cath, I can tell you that this Macbook AIr is super light and it weighs 2.96 pounds. Thanks for leaving a comment. This looks like a splendid laptop. Compared to my heavy, clunky pc, the Apple Macbook Air is fast, sleek, and durable. The price for this laptop is reasonable at $949.99 given the fact that I’m a student. I do have a question though. I have heard that you cannot really game with Apple computers. Is that the case for this Macbook Air? I want to know in case I consider this puppy down the road. It is really a cool laptop Alex. I can also tell you that the Macbook Air is superlight! Now the good news is that Amazon usually has good deals from time to time (or even stores like Bestbuy) and I can tell you that the price for this laptop is $949.99 on Amazon and especially with black friday drawing super close who knows you might be able to get it for even less! Well, I can tell you that I use the Macbook Air for gaming. I play Geometry dash on the Macbook Air and I have also used it for fortnite! You’re welcome and please feel free to visit again soon for more reviews and awesome posts!